At Kellogg & Palzer, P.C., our mission is to learn and understand our clients' needs and the external factors affecting them so that we may aggressively and professionally represent them throughout the legal process. As we are a smaller firm, each of our clients receives individual attention, and clients are not shuffled around as they may be in a larger firm. We strive to build long term relationships with our clients so that we can better understand their legal needs, both now and in the future. We clearly communicate our legal knowledge and experience, thereby enabling our clients to make well-informed decisions for themselves. Our approach is to provide a personalized attorney-client relationship based on each client's unique concerns and requirements. Our philosophy is based on our commitment to provide experienced advice to our clients. 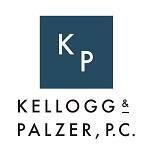 At Kellogg & Palzer, P.C., we constantly seek to improve our performance in order to be prepared for the challenges facing our clients. Our work environment is based on diligent work effort, community involvement by volunteering our services to a variety of nonprofit organizations, and a strong commitment to the integrity of the legal profession. Pope Paul VI Institute Physicians, P.C. Midlands Lighting & Electric Supply, Inc.